Aside from the accidental idiotic brilliance of the Fast And Furious series, Vin Diesel isn’t exactly the mark of quality in any movie. Yet, even by Vin’s lowball standards, The Last Witch Hunter is an absolutely abysmal attempt to launch a blockbuster franchise. Confusingly written, indifferently performed, and shot in a manner that makes it difficult to even see what’s happening, this thing is an absolute disaster. The best thing that can really be said about the movie is that it looks expensive. Clearly a lot of money was spent; it’s just a shame that not a lot of care or effort went into making the movie anything more than expensive. Things kick off in medieval times with Diesel sporting an absolutely absurd beard n’ hair combo that’s almost worth the price of admission for sheer absurdity. He kills an evil witch queen, but is cursed with immortality in the process. A few centuries later, good ol’ Vin is still up to his witch hunting ways in the current day. In this world, witches exist in secret, thanks to ancient deals made between the magic and religious communities. However, if any witch gets out of line, Vin will hunt them down and send them to super-secret witch jail. Diesel is super brilliant because he’s got hundreds of years worth of knowledge and experience behind him. Even though he’s partnered up with Michael Caine’s priest, he calls him kid. Because that’s a super funny thing to do, apparently. Unfortunately, Caine drops dead almost instantly and good ol’ Vin knows immediately that black magic is the culprit. Along with his new priest buddy Elijah Wood, Vin unlocks a conspiracy that just might involve the resurrection of that old witch queen or something. To learn more, he’s going to have to partner up with a witch and finds the perfect one in Rose Leslie. She runs a bar and can walk into people’s dreams as well as unlock living memories. That’s good, because it helps Vin and co. jump through huge exposition scenes with a little hallucinatory action. It doesn’t make much sense though, but at least that’s consistent with the rest of this idiocy. 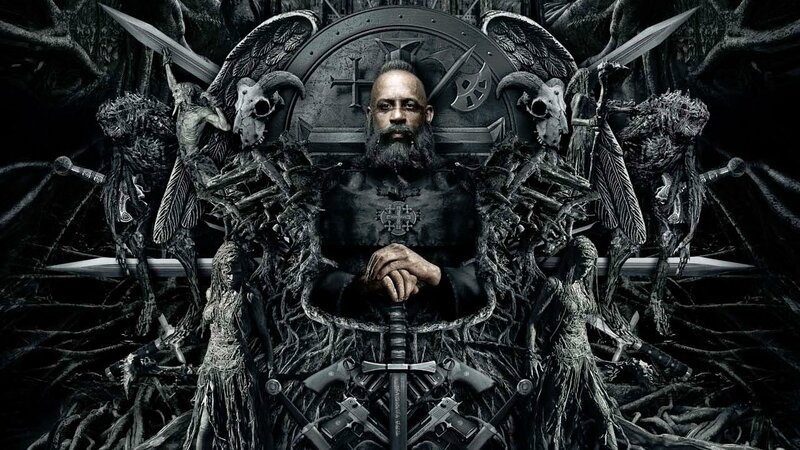 The most frustrating aspect of The Last Witch Hunter is that this thing was so clearly written to be the first chapter of a new franchise rather than anything that can hope to stand on it’s own. That’s just how the blockbuster business works these days, and leaving a little mystery open for future instalments is fine when those answers exist somewhere. 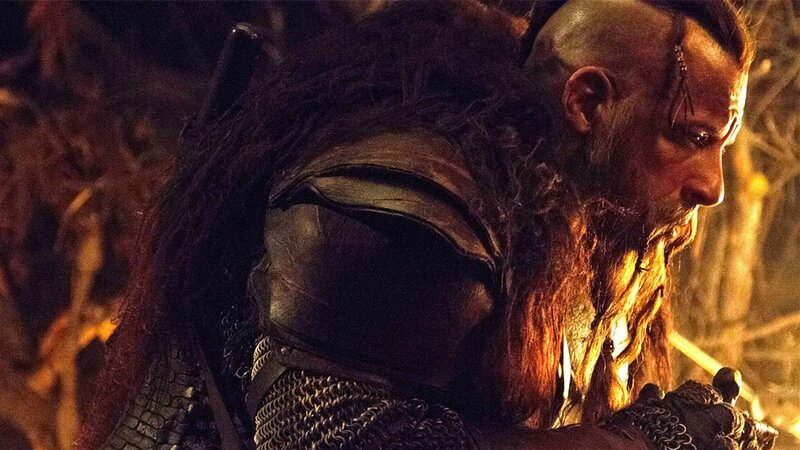 In The Last Witch Hunter, it’s embarrassingly obvious that the filmmakers were just making things up as they went along and left huge gaps in the narrative and mythology assuming they would be other people’s problems come sequel time. What’s supposed to come off as enigmatically mysterious more often than not just feels confusing and irritating. It’s hard to work out what exactly the rules are in this world, beyond what’s been stolen from Harry Potter, The Matrix, Blade, and countless other successful movies. Here’s a shocker: the acting isn’t great either! Vin Diesel coasts by on a particularly lazy performance, growling out every word in the same monotone and offering audiences only two expressions: a scowl or a flirtatious smile. Granted, Vin’s wooden ways are part of his charm, but his performances only work when the movie around him is goofy enough to contain it. Everything in The Last Witch Hunter is pitched so seriously that you can’t help but notice how limited Vin’s range is, not unlike whenever Arnold Schwarzenegger struggled through a serious-ish role like End Of Days. Caine and Wood are clearly onboard for little more than a paycheck, delivering their bare minimum effort that only feels like acting next to whatever the hell it is that Vin Diesel thinks he’s doing. Game Of Thrones veteran Leslie does her best as the good witch, but given that her role doesn’t have any depth beyond those two words, it’s all for naught. Now, you might think that a crappy script and lazy action wouldn’t really matter in this sort of movie, since it’s all about the massive Vin v Witch action. Well, hold your horses there, young scallywag. That might be true if you could ever see the action scenes, but unfortunately, director Breck Eisner’s commitment to barely-visible, shadowy lighting, shaky cam action, and unrelenting ADD-editing means that viewers won’t even be able to tell what’s happening in any of the fight or action scenes until they’re all over and a victor is declared (usually Vin, naturally). So what we have here is a blockbuster that’s lazily conceived, nonsensically plotted, horribly acted, and incompetently staged. It has exactly zero things going for it, unless you’re a silk shirt fetishist, in which case there is plenty to love. 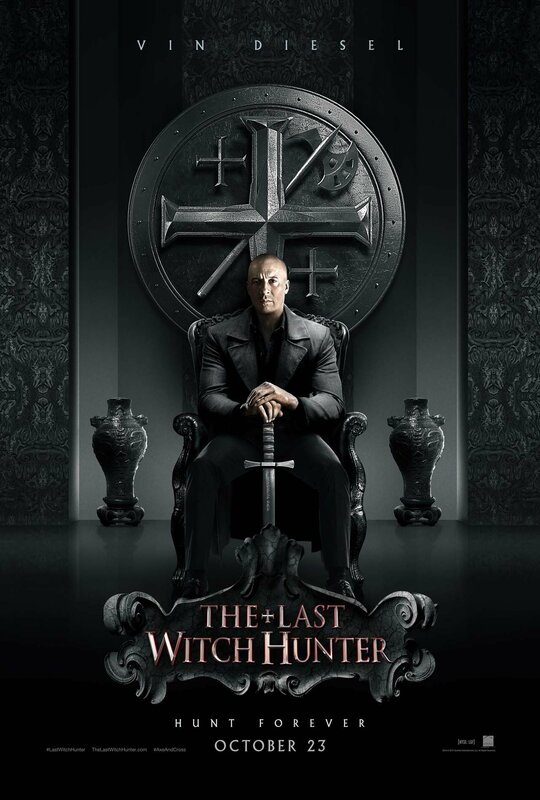 Simply put, The Last Witch Hunter is a garbage movie. Don’t poison your eyeballs, even if you’re a Vin Diesel completist or his parents. The best thing that can really be said about The Last Witch Hunter is that it looks expensive.